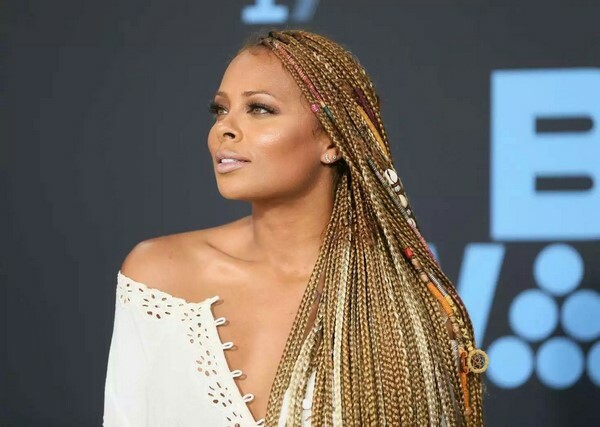 Box braids hairstyles – cool and funky hairdos that rock! 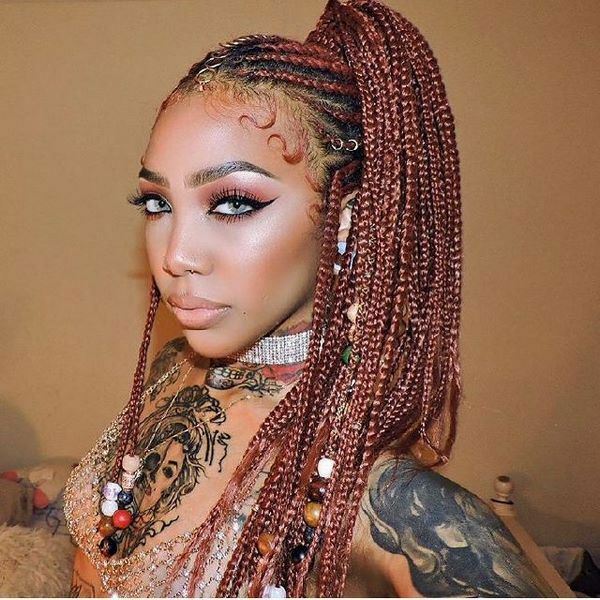 Box braids hairstyles are widely popular among young women and, admit it, it doesn’t matter if you like them or not, your eyes are always turning to have a better look at these amazing hairdos. 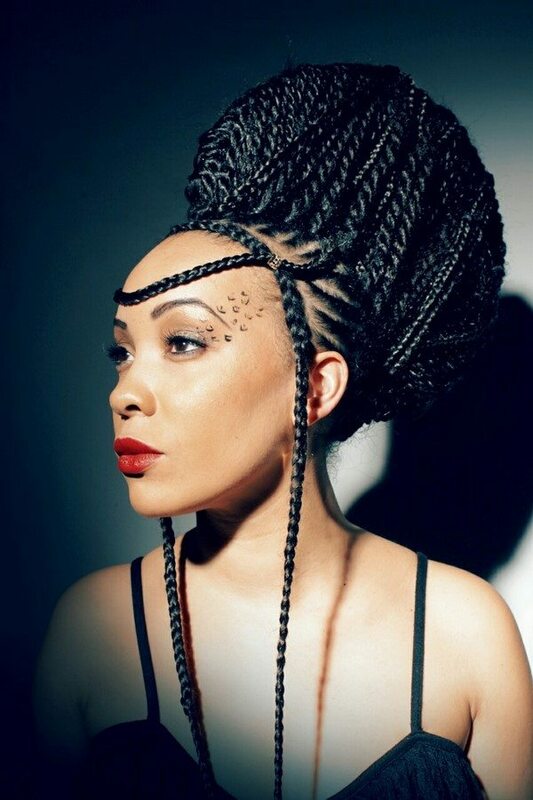 Delightful, mysterious, thrilling, gorgeous, box braids are all that and even more. What is a box braid, actually? 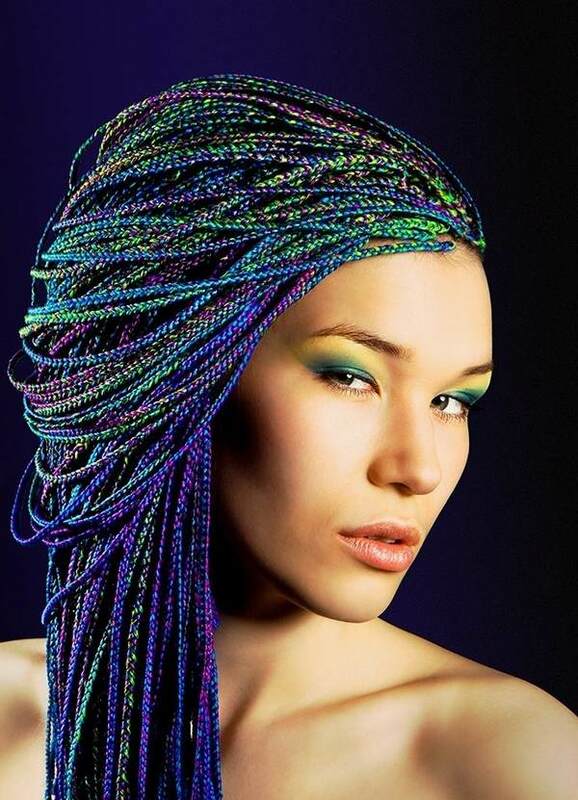 Those are individual braids, divided by small squared off parts or boxes, hence the name. The hairstyle comes in any length, thickness and even color, as you can add synthetic or natural hair to the braid. 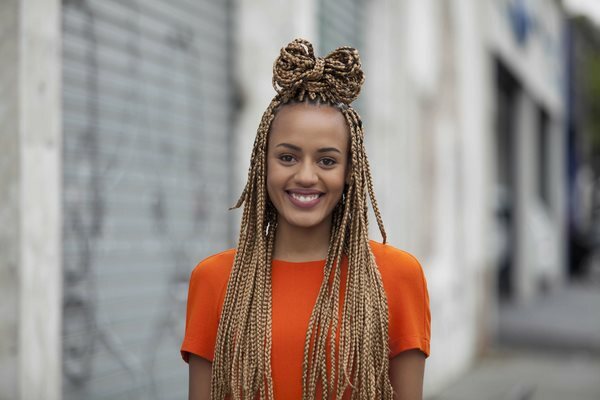 Unlike cornrows, these braids are not attached to the head and you can style your hair in different ways and the great news is that once finished, they will last for months. 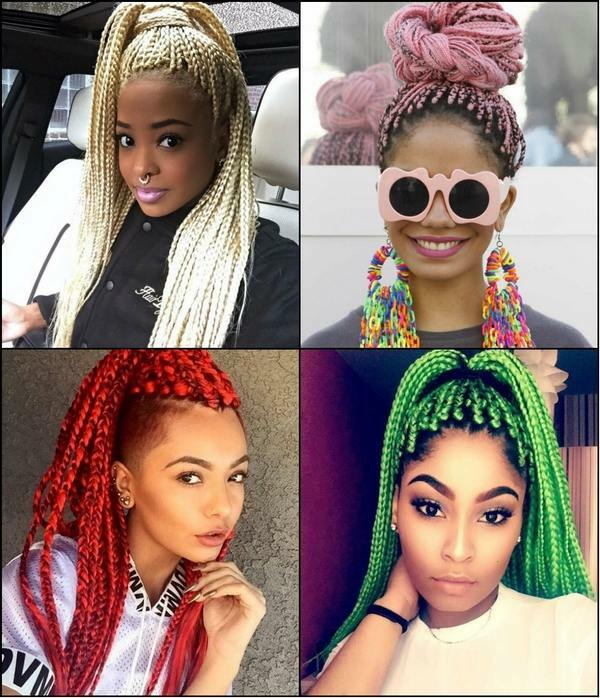 What are the advantages of box braids hairstyles? 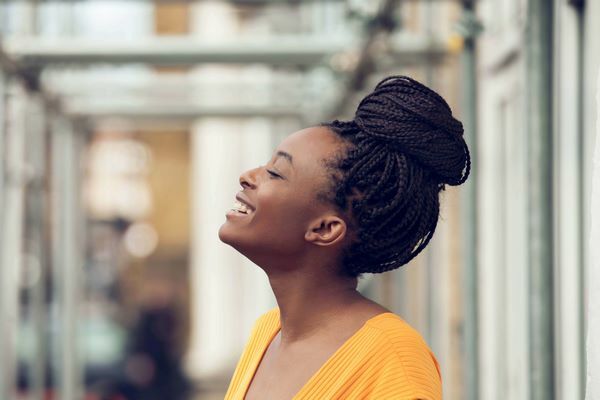 All of us have seen attractive girls whose faces are framed by long, lush plaits and every summer we see more and more girls and women who have had their hair weaved into hundreds of plaits. 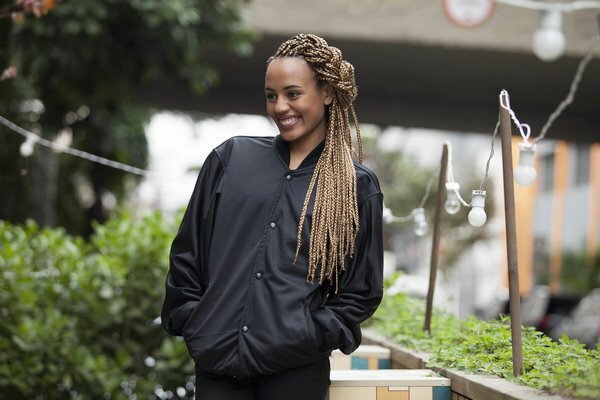 A true trend that has taken hold of the manes of many women around the world, the technique of box braids has made a revolution in the world of hairdressing. 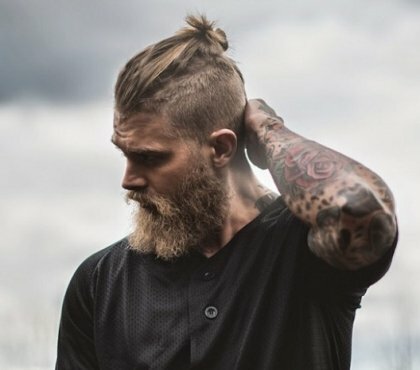 The hairstyle is relatively simple. 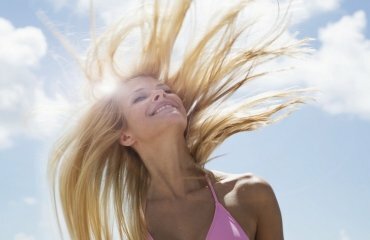 In addition, it allows you to change your look while protecting the hair from multiple attacks of everyday life. 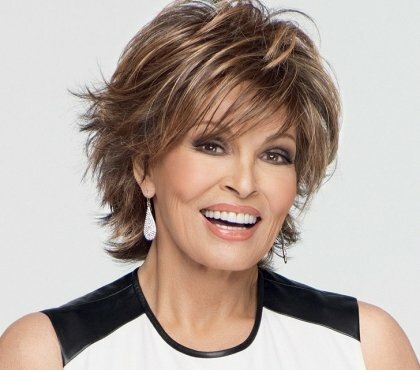 Why women choose this hairstyles? What are the advantages of these plaits? 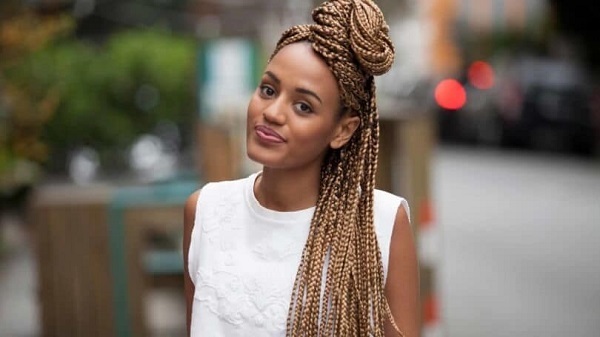 On the first place, box braids hairstyles are fun, they are versatile and low maintenance and beautiful. Of course, “beautiful” is a matter of personal perception but most girls are willing to experiment for the sake of an unusual and attractive appearance. Another important advantage – the plaits do not require frequent washing. Last but not least, box braids can be done on any hair which is more than five centimeters long. You may be fascinated by these funky plaits, but you have to understand that they have their challenges as well. To begin with, this hairstyle is not recommended for girls with round faces. 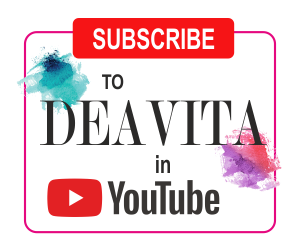 Another disadvantage is that you can style your hair in a limited selection of hairstyles – you can leave it loose, gather it in a tail, twist it into a bun, opt for a half up half down option, but you will have difficulties to experiment with your appearance in many different ways. 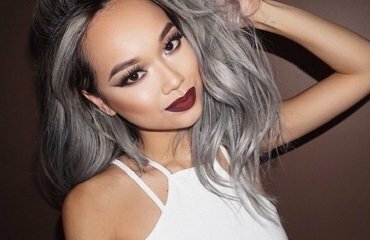 The major disadvantage is that this hairstyle seriously weakens the hair. The reason for that is that while braided, your hair does not get proper care which has a serious negative effect. 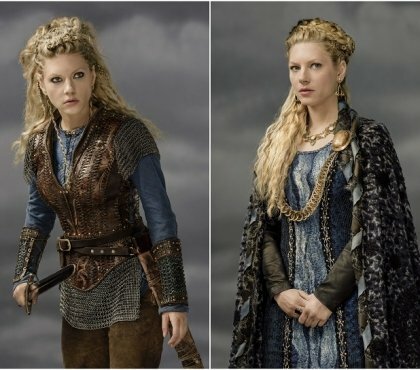 Further to that, you will lose a lot of hair while you wear the braids. Keep in mind that a person loses up to 200 hairs a day and for two months this is already 3000 and when you decide to have the braids removed, the amount of hairs may surprise you in a very unpleasant way. Immediately after removing the braids, you need to wash your hair with a moisturizing shampoo and apply conditioner. Gently distribute the shampoo with your hands, rinse and repeat the same with the conditioner. 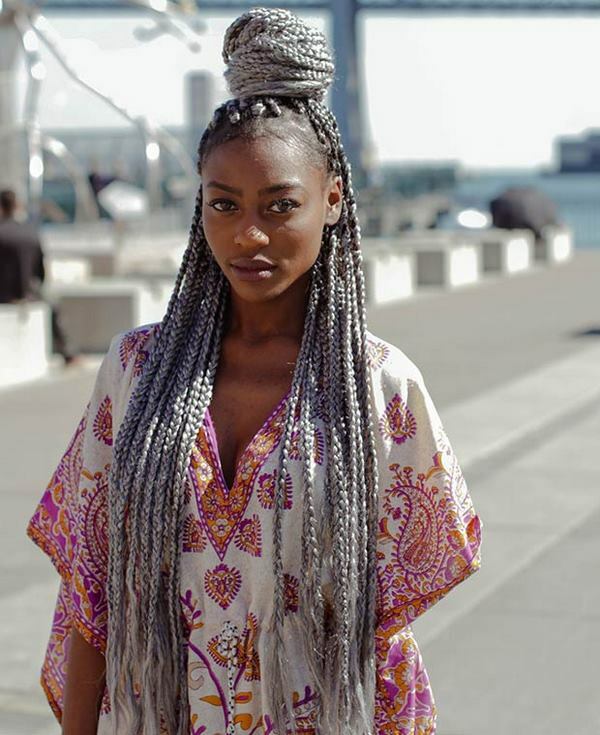 How to make box braids and maintain the hair? 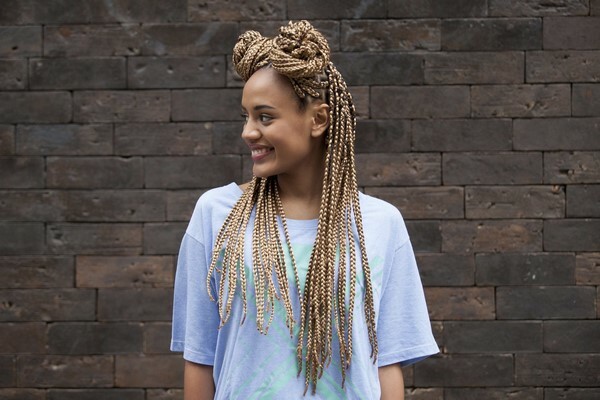 There are two ways to make box braids – with or without extensions. First the hair is divided into individual boxes – small, medium or large sized. After that, the hair in each box is split into three parts and braided all the way down to the end. This step is repeated for each individual strand of hair until the entire hair is braided. You can add extensions to your natural hair for either length or thickness of the plaits. Once all the hair has been braided, you need to know how to take care for your hair. Wash your head. Use your usual shampoo slightly diluted with water. Rinse, wrap in a towel for a while – and the braids are dry. 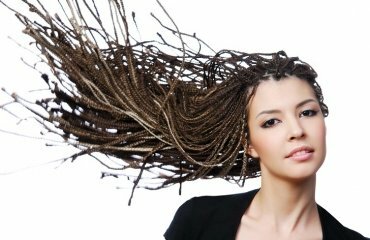 Do not dry box braids with a hairdryer! It is strongly recommended to wash them every 7-10 days. This will not affect their appearance but the braids will last longer, because they loosen from washing. Maintenance – your hair grows by 1-1,5 cm per month and loses between 50 and 100 hairs a day and new ones grow. 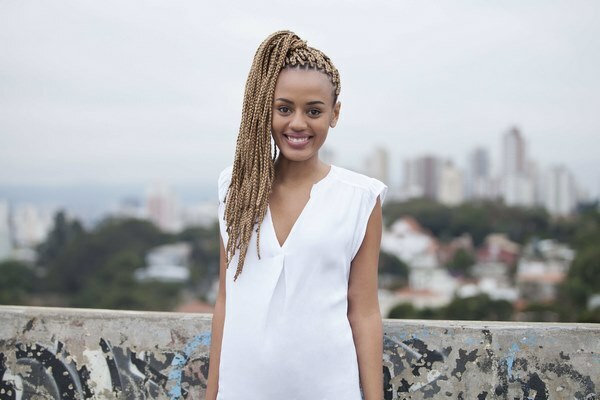 Because of this, the box braid bundle moves further away from the roots as the period of wearing the hairdo usually lasts from 1,5 to 6 months, depending on the number of braids so you need to visit your hairdresser to adjust the braids. If you are removing the braids by yourself, take someone to help you. However, it is recommended that you go to a hairdresser. Let your hair rest for a few days before braiding it again.